Yes, ladies & gentlemen. I have just debunked a well-known myth. 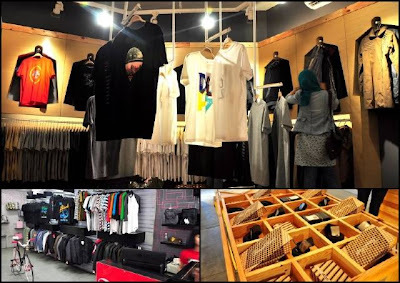 I went to Bandung mainly to search for formal work wear & some casual wear. What I saw left me deeply disappointed. Keep in mind however, that I am a man. I did notice that women have a better range for selection. In most establishments, the women's section is at least 2 times larger than the men's section & the men's section is usually relegated to some miserable dingy corner of the store. Nonetheless, I had a good time but I wont be going back any time soon because I feel that I've had everything that Bandung has got to offer to a MAN. 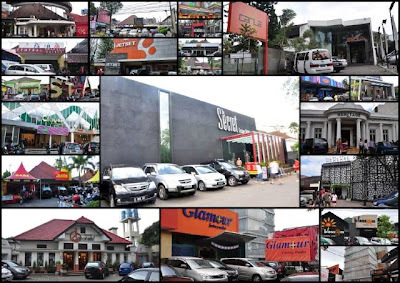 Bandung is famous for its factory outlets or DFOs or FOs. There are just TOOO MANY!! 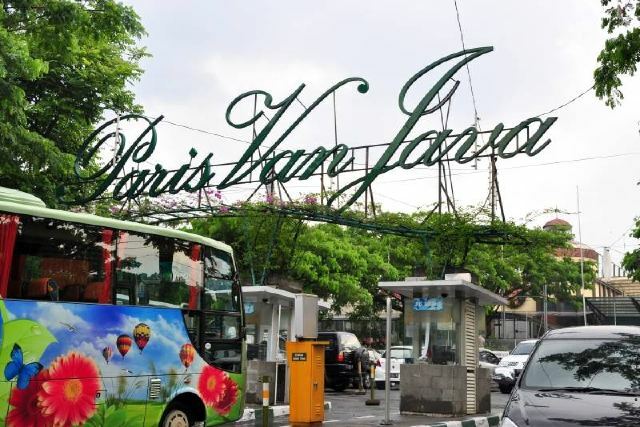 Walk down Jln Riau or Jln Dago & you'll find them lining both sides of the street. The sad thing is... they offer pretty much THE SAME STUFF. Also, I suspect that most of the stuff are IMITATIONS. Yeah, you heard me. The same imitations you can find in Petaling St so why bother travelling all the way to a distant country, right? I was very disappointed with both the work wear & casual wear on display in the FOs. Imagine spending 2 days going from FO to FO & seeing pretty much the same stuff. After going through all the FOs on both Jln Riau & Jln Dago, I did not bother with the other FOs. I didn't even go to the famous FO, Rumah Mode. However, there was ONE that had something different & it happened to be where I spent the most money too. It's The Secret on Jln Riau. Men, it's the only one worth a visit. All the others can be missed. Prices of most items range from 100,000rp to 150,000rp. There was one redeeming factor to the shopping side of Bandung. After getting fed up with the FOs, I decided to check out the Distros (another thing that Bandung is famous for). IT WAS AWESOME!!! Distros are small stores which distribute the designs of local independent fashion designers. The work is very unique & the prices so cheap, I went crazy! Shop! Shop! Shop! Distros are really small stores but a lot of love has been put into them by the inde designers so they look really good & comparable to fashion boutiques. They are mostly inspired by either pop, rock or punk so it's wholly casual wear. 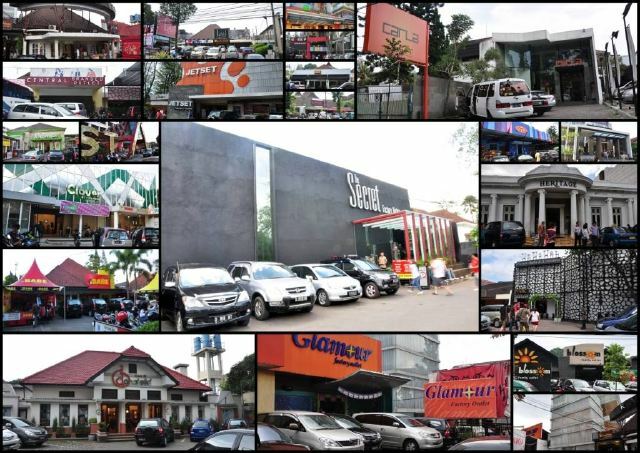 You can find a lot of Distros lining Jln Trunojoyo (off Jln Riau) & scattered throughout Bandung city. Prices of most items range from 50,000rp to 150,000rp. A helpful forumer on TripAdvisor.com introduced me to Amanda's Kukus Brownies. After some research on the internet, I found that many Indonesians & even Malaysians were in love with these brownies. After getting one myself (32,000rp), I'd say these brownies are really delicious & they are not too sweet. They have a natural flavour & texture that is hard to come by at local bakeries which tend to overdo the flavourings & sugar. 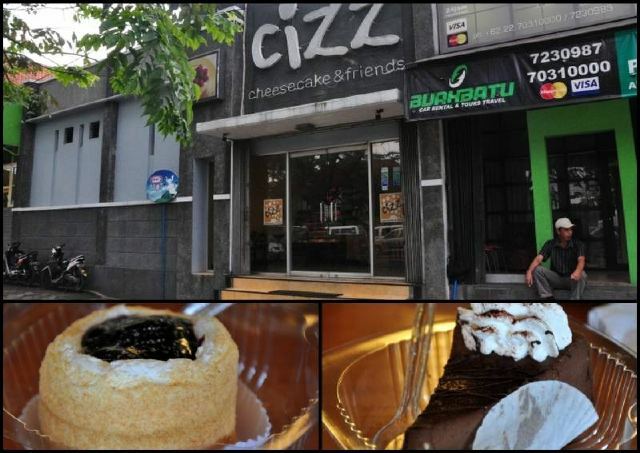 A must try if you're headed to Bandung! 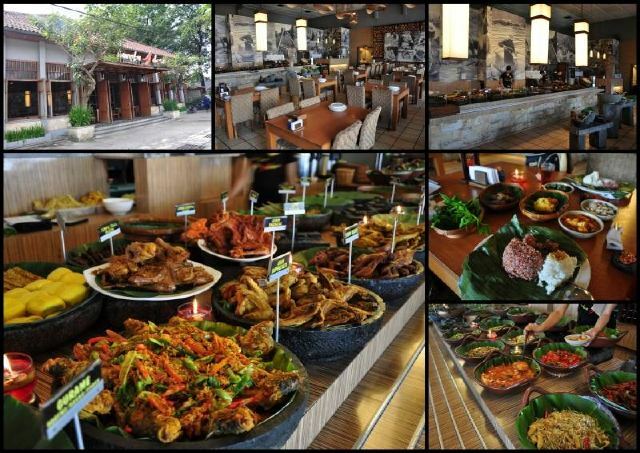 This is the #2 restaurant in Bandung on TripAdvisor but it is not a restaurant. However, you won't find anything to eat there except Cheese Cakes. Since it was so highly recommended on TA, I bought 2 of their cheese cakes to try. The cheese cakes were so rich & the sweetness was just nice! The cakes have a quality that is hard to describe. They tasted really complete. In comparison, all the other cheese cakes I've had before felt like the were missing some key ingredients. 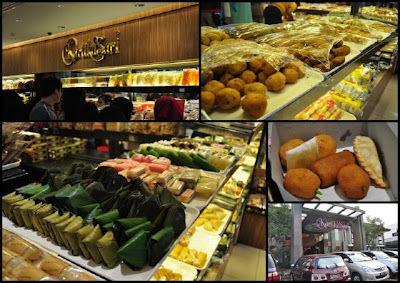 A definite must try when in Bandung! 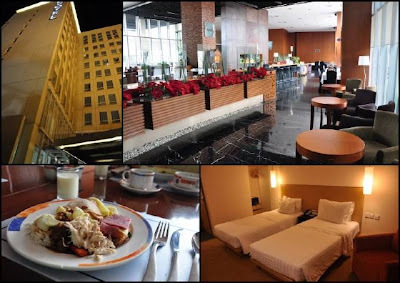 For an average of RM150/night, I stayed at the Novotel Bandung. Hotels usually do not leave much of an impression on me during my travels but this one was different. During my 4 nights in Bandung, I really felt like the service rendered here was exceptional. Everyone from the supervisor to the waiters to the cleaners had the inner-fortitude to look you in the eye, bow, smile & greet you. This kind of acknowledgement is hard to come by & I salute the hotel for having put this into their culture. Their spoken English was good & you really felt like everyone was humbly listening to your needs & taking care of you. Everyone was cheerful, helpful & (here's my favourite part) they never asked for any tips nor waited for one. It seems that their excellent service was done from the heart without expecting anything in return. Very commendable indeed. So there you go. If you're willing to pay up to RM75/night for a room+breakfast, go for the Novotel Bandung. 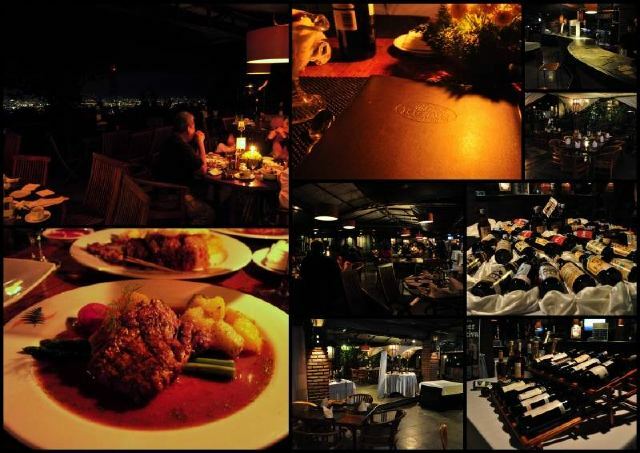 On my first night, I had dinner at The Peak. The journey to the restaurant was horrible. It was an hour ride on a mountain road with plenty of potholes. The taxi ride to & fro costed 400,000rp & 2hrs in transit. The food at the restaurant was Western & very pricey. However, the view was magnificent because you can see the Bandung city lights from the restaurant. Not worth the journey. I'm sure there are plenty of other Western restaurants in town which have similar quality of food. On my second night, I had dinner at Pagoda. It was a Halal Chinese restaurant. The setting was great & very well maintained but the food was overly salty. 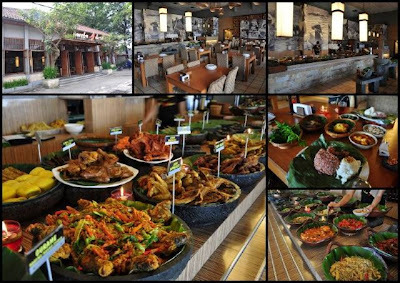 A TA Forumer introduced me to Bumbu Desa for authentic Javanese food. 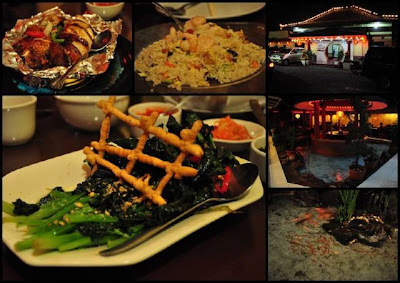 The setting was really great & you really felt like you were dining at a Javanese restaurant. However, the food was not so great. You get to choose what you like from a buffet & it will be cooked for you (fried or baked). Veges will be heated. The food tasted ok. It was not great. 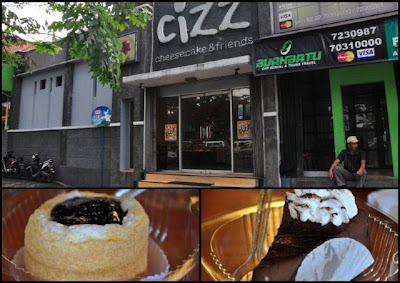 I got to know about Kartika Sari through a TA forumer as well when I asked for a place to sample authentic local cakes & desserts. I tried a few of their cakes & they were really good. Maybe next time. 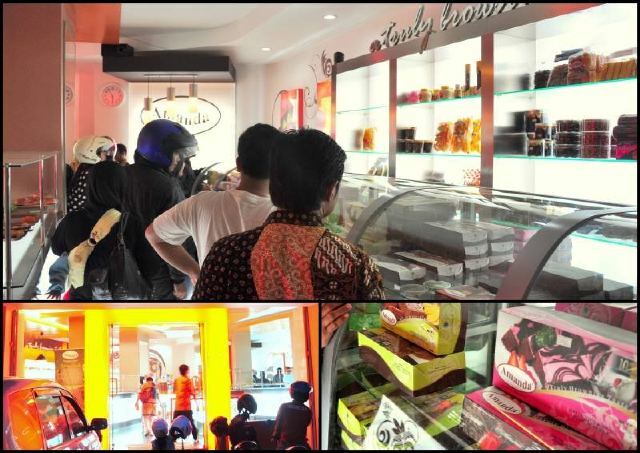 But if you're in Bandung, don't forget the Pisang Molen! 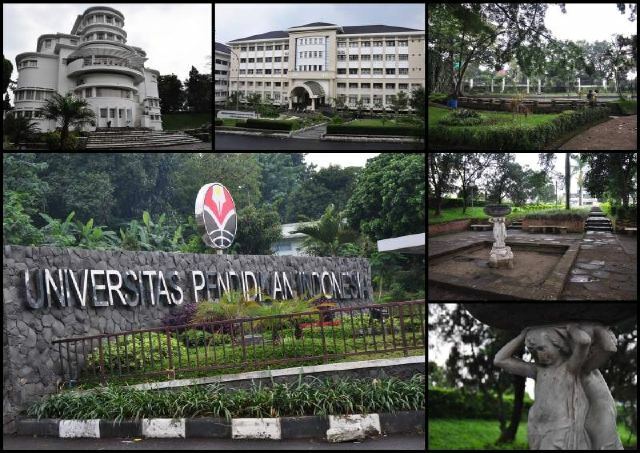 On my way up a mountain, I noticed a beautiful Dutch building @ Universitas Pendidikan Indonesia. I stopped to take a few pictures of the place but was disappointed to find that it was the only heritage building nearby. The other buildings were pretty modern. Talked to a few English-Teachers-To-Be (who happened to be hot chicks) about being a teacher in Indonesia. It's interesting & left me feeling fortunate to be teaching in Malaysia. During my trip I also visited Paris Van Java which was just like any other mall in Malaysia. I went there thinking that I would finally be able to purchase some work wear at lower prices. However, I was shocked to discover that the prices of imported merchandise were the same as those in Malaysia (after conversion). I thought to myself I'd rather spend that amount of money in my own country to help the economy. I also remember wondering to myself how could the locals afford it! Avoid this place unless you want to eat fast food or watch a movie at a good modern cinema (Blitz Cinema). My first trip to Indonesia was to Surabaya. That place got me scared & I did not feel safe at all. I brought the same fears to Bandung but my fears were soon dispelled because the instinctive warnings I got in Surabaya never came up in Bandung. 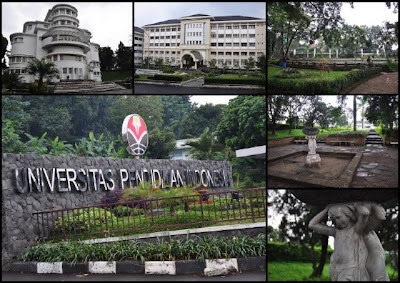 The people in Bandung are generally more productive. They have got some kind of work or trade or study to do so they are not so desperate to leech off a few rupiahs from you. Street peddlers, performers & beggars will leave you alone at one word, NO. They will not follow you around & pester you for business. The streets are cleaner & the civic infrastructures are functioning. The toilets are clean too! 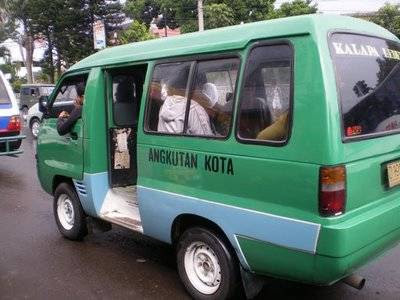 When I arrived at Bandung, I never imagined that I'd be able to take the angkots (Angkutan Kota or the local mini-buses). However, the drivers were really helpful with directions & will even stop other angkots & shout directions at them to get you to where you want to go. Angkots are cheap too at 1000rp & increasing in 500rps the longer you ride. The ever trustworthy Blue Bird taxis are hard to come by in Bandung. Any other taxi is just as good because Bandung receives a lot of tourists all the time so taxi driving is a very lucrative trade. Do remember to discuss the price with none-metered taxis before getting into the car. I really like Bandung. It really felt like a Phuket to me. I felt safe & I felt free to enjoy myself. I spent an obscene amount of money there & brought back a whole load of stuff. I did not go for the tourist attractions because I think I was too old for some of them & I've been to better elsewhere. From a man's point of view, Bandung is definitely worth visiting for the Distros & casual wear shopping.